THE WICKER MAN is one of the great cult films, a movie that has fascinated, enthralled and divided viewers for four decades now. 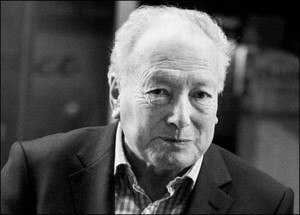 The film has recently been re-released in a controversial new Final Cut, and I spoke to the film's director, Robin Hardy, about the genesis of the film, its shooting, and its legacy. How did you research the film? Tony Shaffer and I figured out the plot together one weekend at my place in Maidenhead. We had been partners in a film company for about thirteen years at that point. He then went away to start writing the script, and whilst recovering in hospital from an operation, I did all the research of the various Pagan practices and symbols. Tony and I were passing each other stuff backwards and forwards. I used 'The Golden Bough' by Sir James Fraser, which is really the definitive series of books on the mythologies of the world. It's like a detective story that goes back to the origins of virtually all religions. We knew where we wanted the songs placed in the film but not not exactly which songs we wanted. I selected some of the songs we used for the film from The Cecil Sharpe Collection in Camden Town. Our composer Paul Giovanni then put new music to some of them because quite a few of the songs have half a dozen melodies to go with them. Many of the songs had been crudely bowdlerised so they had to be debowdlerised by Tony's twin brother, the playwright Peter Shaffer. Tony was away in London working with Hitchcock on FRENZY (1972) for much of the filming. Did Antony Shaffer, Peter Snell (the producer) and yourself approach the material differently in any areas? I can't remember any differences of opinion. I had a different job to do. I was focussed on trying to get all the quirks of the script into the film that Tony and I had discussed in the beginning. The only area in which we could've been at variance was in the casting, but we all agreed on the choices. Like I said, Tony was away for much of the filming, and Peter Snell was also in London trying to keep all the financial people happy, which wasn't easy because the film industry was going through one of these perennial crises. Before THE WICKER MAN was finished, British Lion was sold to EMI, which hated the film. They decided to cut the film down considerably. As soon as they could, EMI fired him. Peter had a lot to deal with. I did have some arguments with Harry Waxman, our cameraman. He was an Orthodox Jew and he was worried about some of the religious aspects of the film being blasphemous. He thought it was a film written by Christians for Christians, and he was worried that we might offend our Christian audience. 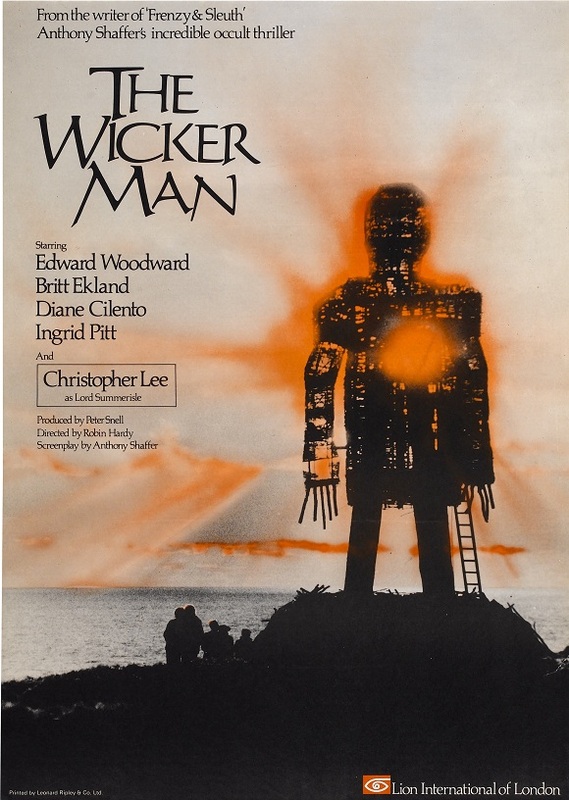 THE WICKER MAN is only about Christianity in the basic sense. Any kind of Christian would understand the basic approach. After I assured him the symbolism was perfectly inoffensive, he grumbled and accepted it. You can't make a film like this without having these intellectual conversations. How true is it that you saw the film as more of a musical than others working on the film? I don't see it as a musical at all! I'm amazed to learn that anyone sees it that way. 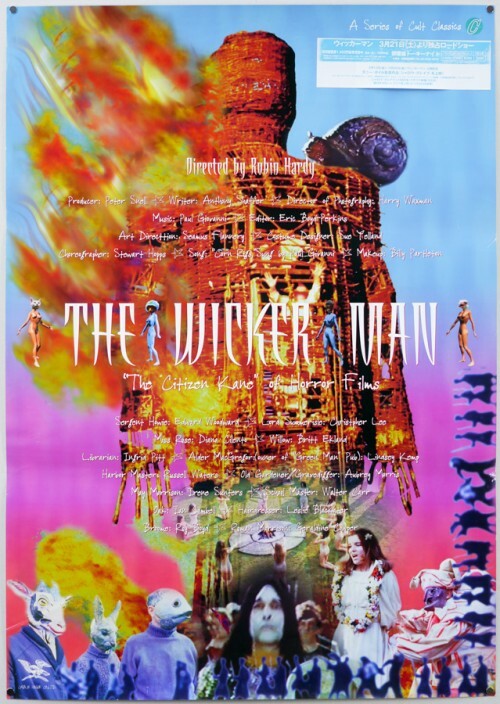 A musical is completely driven by music, whereas THE WICKER MAN is furnished by music about as much as it is by beautiful landscapes and good performances. The music is part of the dialogue of the film. Did the experience of making the film affect you spiritually in any way? Not really. I'm actually not personally religious but I've always been fascinated by comparitive religion, as was Tony. He was a Liberal Jew, and I like to think of myself as a Liberal Christian. We both had equally objective views of Christianity and Judaism. Paganism is symbolically represented in both religions, as it is in Islamism, if less so. In THE WICKER MAN, the fact that the island's inhabitants give trees and plants names is a clue to the audience that we are on a Pagan island, but actually that is also a part of Jewish cultural history, if not so much Christian. The names of the days and months have Pagan connections of course, and quite a lot of girls' names come from tree or plant names or parts of the calendar. The rituals of Christianity and Judaism are amazingly sourced from the Paganism our immediate ancestors in the British Isles had practiced. Which false rumours concerning the film have annoyed or amused you the most over the years? There was a story that we actually burned all the animals alive in the wicker man that we built, which of course we didn't. The RSPCA were there throughout the shooting of that scene. Every time we lit one of the three wicker men, we had to get all the geese, ducks and other animals out of there. There was a particularly nervous goat which was placed above Edward Woodward's head that peed on us all the time, but it was evacuated before we started burning the wicker man. In Britain there's always lots of talk about Britt Ekland's dance scene. How much of the singing is her and how much of the dance is her? All of the dance was done by her, except the shot where she's pounding on the door with her back to us. That was because she didn't like her bottom being seen, so we had to get a double. She sang the song herself. We did have to carry around fake blossom trees in trucks because we were shooting in November and December, and the story is set in spring. The aerial shots of the blossoms during Howie's flight to the island were actually filmed in South Africa whilst I was shooting a commercial there for the company I ran with Tony Shaffer. People never noticed that so there were no rumours about it. How do you account for the contradictory recollections of some of the cast and crew about how filming progressed? Journalists look for conflict to spice up their stories. All sorts of strange and erroneous accounts have appeared, often ascribed to people with whom they've had a half hour conversation with in a pub. Inevitably, there are people who feel their contributions weren't properly recognised. The art director (Seamus Flannery) has whinged a great deal because he hardly saw me during filming. We had moved the location of the village 25 times. Well of course he was preparing stuff for us like the wicker man, and he never caught up with us until the day before we started shooting. Obviously he felt aggrieved that he wasn't being consulted enough. If we'd all been in the same place at the same time he would have been consulted more. He complained a great deal about everybody, but especially me! Everybody says how much trouble we had making the film, but we really didn't. Looking back on the film, all the crew did wonderfully. The second unit, under the inspired Peter Allwork, was particularly good, especially the opening aerial scenes. Frankly, I discount the cruiseliner gossip that existed between some of the cast and crew as we journeyed to 20-25 locations over a distance of 2-300 miles on the coast of Scotland. People don't always get on in any situation, especially in situations of work stress. When you look back at the film, what are your strongest memories? I suppose it's the suspense of not knowing if we were going to be able to catch that particular shot of the sun in the sky after the wicker man's head burns off and falls to the ground. It was November/ December in Scotland, so we were lucky to have any sun at all, let alone just where we wanted! It was a one-shot triumph getting that shot and Harry Waxman deserves all the credit. Harry was an expert on trick photography and could have been called upon to fake that shot, which wouldn't have been as good and would have taken an enormous amount of time and money. He put the camera in exactly the right place, and had the right exposure and everything. Harry was a fine cameraman and did his work beautifully. His lighting of Willow's dance, for example, was superb. How true is it that the film was not well received by critics initially? I think it's palpably untrue. For its first public outing, it won the Grand Prix des Films Fantastiques et Science Fiction in Paris. It got a rave review in Variety (the film business's paper of record). Then there was a complete issue of Cinefantastique with the headline quote 'The CITIZEN KANE of Horror Films'. I personally helped the film get successfully distributed in the United States. It's theatrical success in the States brought it to the notice of TV in Britain and ultimately, video, DVD and Blu-ray etc. The film has always been a critical success wherever it has been shown. it is true that it was denigrated by EMI when they put it out in UK theatres in the truncated version as a second feature with DON'T LOOK NOW (1973). But its American career soon eclipsed that triumphantly. How did the film affect your career in the years after? It probably didn't help my career at first, but it didn't hurt me as an artist - as a writer for the theatre, or as a writer and director for TV and features right up to today. After the film I did an enormous run of TV work in the States, such as a film on Japanese theatre and THE FROZEN MOMENT in Japan with Sessue Hayakawa. 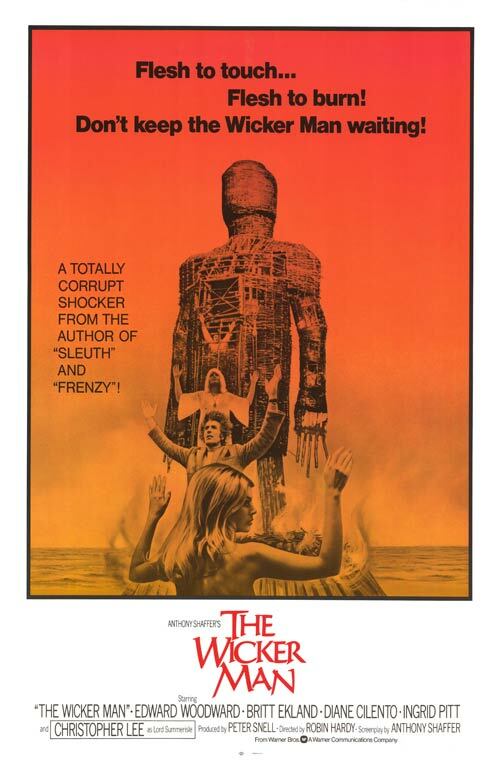 I'm surprised THE WICKER MAN, with it's theme of sun worship, was not more well known over there. Again for TV, I made THE RAMAYANA with Ravi Shankar in India, and PARADISE LOST with Ralph Richardson in England. I also turned THE WICKER MAN into a novel in 1978, and wrote other books, including two novels about Don Juan. How has the movie impacted upon your life? It's travelled with me all the way along and been a useful calling card as a filmmaker. When you have something successful relatively early in your career, it tends to be a point of reference for everyone I meet. Joseph Heller always had the same question posed to him by people he met: ''What have you done since 'Catch-22' (1961)?" I always get ''What have you done since THE WICKER MAN?" From my point of view, the film has enabled me to do what I want to do, which is to write books and make movies. 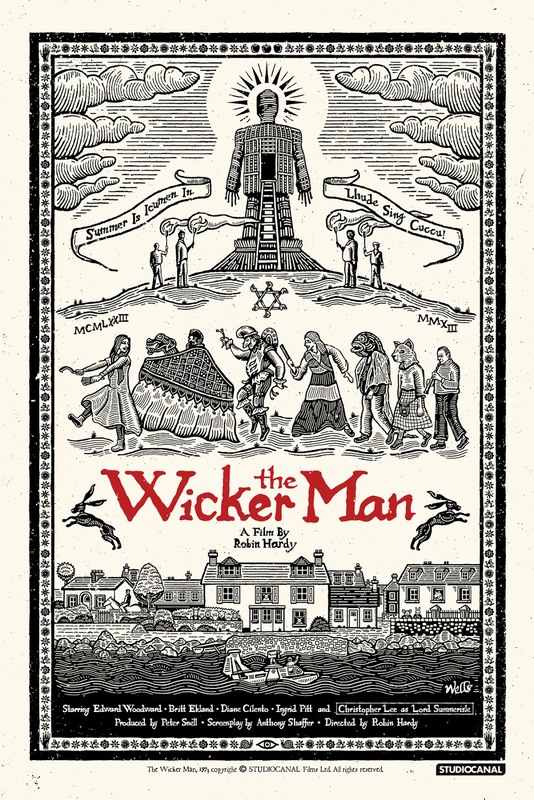 The biggest impact THE WICKER MAN had on me was in its structure and themes, which I've wanted to repeat in my own books. What's happening in TV shows now really interests me - shows like 'House of Cards' are really novels, whereas a film like THE WICKER MAN is equivalent to a short story. With a lot of these TV shows you have the opportunity to develop characters over a period of time. You can have a character start as one kind of person and end up as a very different person at the end. That's a very attractive thing for writers and directors. You can indicate character development in a ninety minute movie, but you have to do time jumps, and if characters suddenly change, the audience is not able to suspend their disbelief. We couldn't have gotten away with that with Christopher Lee's character in THE WICKER MAN, for example. How would you characterise your relationship with Anthony Shaffer in the years after the film? Anyone who has read his somewhat self-pitying memoir 'So What Did You Expect?' (2001) (a revealing title) will realise that he suffered with two realities that he wrestled with. First, he knew and no-one doubted it, that he was a man of enormous talent. He was the identical twin of Peter Shaffer, who had written some of the best plays produced in London and New York for nearly four decades. But the breadth of subject matter Peter could command eluded Tony. It seems that Tony could only write about 'games playing', of which SLEUTH (1972) and THE WICKER MAN are prime examples. He can claim mastery of that admittedly limited genre. What Tony could do was write literate, witty stories that were deviously plotted in a wonderful way. Maybe he could have done what Peter did, but he doesn't appear to have tried. His second problem is where I and sundry other directors come in. Tony was primarily a man of the theatre. In that field, the writer gets all the credit and the director nowhere near as much. In motion pictures, the reverse is true. Who, but a film academic, knows who wrote Billy Wilder's SOME LIKE IT HOT (1959)? Or Carol Reed's THE THIRD MAN (1949)? Tony hated film directors taking credit, all of which should have been his as writer - if he was in the theatre. He may have had other reasons for resenting me, and yet I released him from his contract with our company to go and work in some form of partnership with Peter. I am immensely grateful to Tony for over a decade of laughter and rewarding conversation. Tony could not resist a pungent, even damaging, critique of other people's work, particularly that of directors. In his memoir he revealed that he spent the first fifteen minutes of his first meeting with Hitchcock, who was inviting him to write FRENZY, telling him how he should have directed his masterpiece NORTH BY NORTHWEST (1959). I'm in good company! 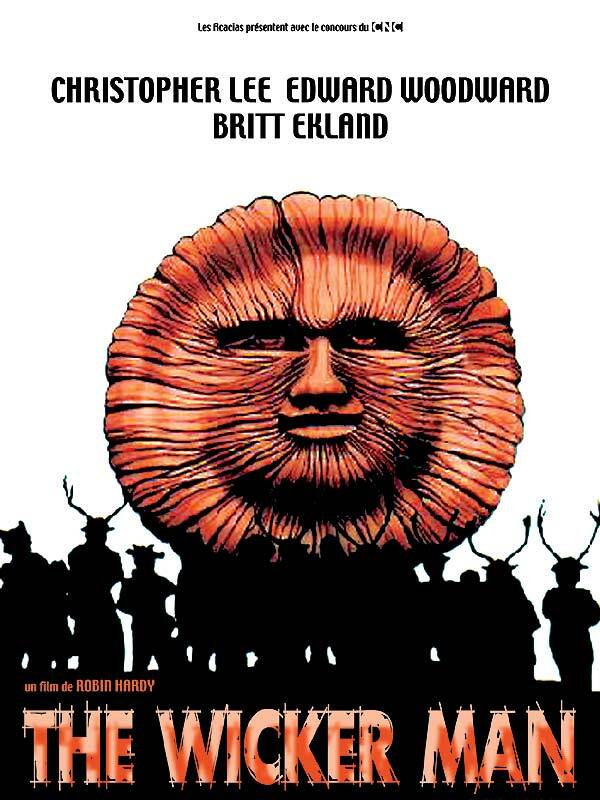 How do you feel about Neil Labute's 2006 remake of THE WICKER MAN? Neil Labute is a talented writer and Nic Cage a very good character actor, but they sort of kept the plot of our film and threw everything else away. It really surprised me that they never paid attention to the very specific structure of the film. I'm not against remakes. The original THOMAS CROWN AFFAIR (1968) is a terrific film, but the remake was even better and is one of my favourite movies. There's no reason why someone with taste and imagination cannot do a remake that really works. 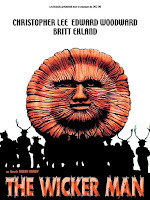 What is the relationship between your film THE WICKER TREE (2011), which is based on your book 'Cowboys for Christ' (2006), and THE WICKER MAN? It's a sequel in the genre of THE WICKER MAN. Journalists called THE WICKER TREE a spiritual sequel, but I don't regard it as such. It's about the same relationship between Christianity and Paganism. But it's also a different story, that looks at people coming into a society they know nothing about, destroying it and leaving it in ruins. You could use the metaphor of the American/ British invasion of Iraq. In THE WICKER MAN, Howie cannot see the threats around him because of his particular religious mindset, and whilst we the audience are a step ahead of him, we are not in full possession of the facts either. In THE WICKER TREE, the two missionaries cannot see the threats around them because they are in a world that's completely foreign to them. But the audience can see the threats around them. The film is also a couple of love stories that are also doomed, and deals with a different version of Scotland and different Scottish people. 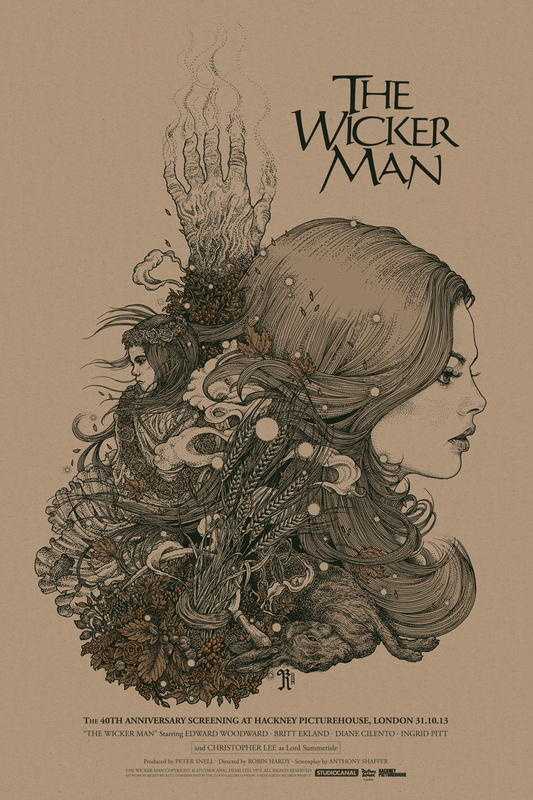 Have you ever considered making a literal sequel to THE WICKER MAN over the years? Not really. I've seen a number of scripts over the years that continue the story. Tony Shaffer actually wrote one, and in his script Howie lives. Tony wanted to reunite all the actors from the original movie. This would have been thirty years after the original film. I wouldn't have been interested in making it. It's possible he might have found a director and done very well with it. What can we expect to see in the new 'Final Cut' of THE WICKER MAN? In the original theatrical cut, the first night on the island was cut out by Michael Deeley, the managing director at British Lion. It had so much that was important to tell the story. It introduced to you to Lord Summerisle (Christopher Lee) and Willow (Britt Ekland). It had the best song in the film, 'Gently Johnny'. We've restored these scenes. As when we first restored the film for the US theatrical version, we didn't have access to the negatives of the missing scenes, and so we had to use a print as our source. We found a print of the US theatrical cut at Harvard University, where they have their own kind of Cinematheque. They let us have it for this restoration. Back in the '70s we had to use a 'liquid gate' process, which is laboriously expensive and by no means ideal. It's so much easier now because you can do it digitally, and we've been able to match the colourisation of the regular footage and added footage. Why have the mainland scenes that were present in the Director's Cut not been included in The Final Cut? Scenes such as Howie being ridiculed by his fellow police officers were filmed because they were in the script, but when we all saw them at the time we agreed they were in excess of what we needed. They slowed down the engine of the film. They'd have been restored if I had asked them to. I did restore the church scene from the beginning, with Howie taking the sacrament. It's important because the whole film is about Christian vs Pagan sacraments. Why do you think the film has remained such a cult favourite for four decades now? There are many reasons why people keep going back to a particular film. 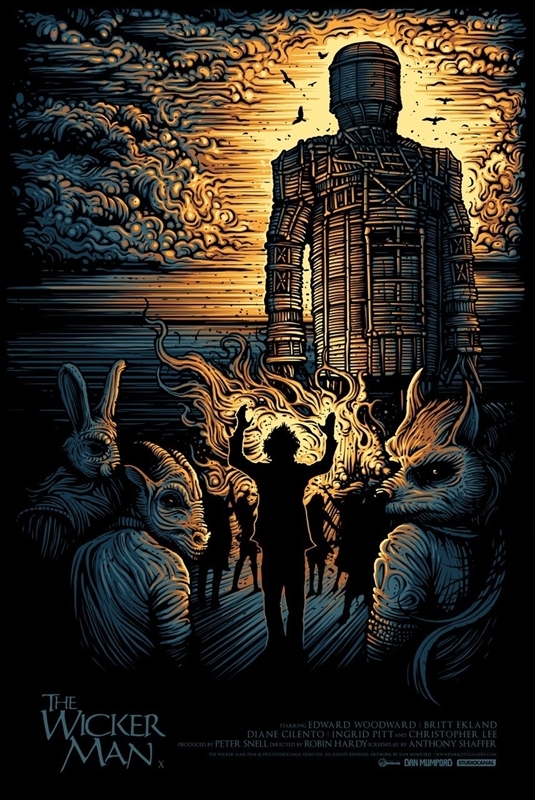 With THE WICKER MAN there are several more esoteric things to figure out. Both Tony and I saw the story as a game. This is where Tony's particular influence comes in. Like SLEUTH (1972), THE WICKER MAN is a battle between two games players. It's a game between the hunted and the hunter. The clues are there all the way through the story, especially for those familiar with Paganism. I think the kind of stories that are the most interesting are those that have a series of threats which the audience can figure out during or after the film. Also you have some lovely dialogue between Edward Woodward and Christopher Lee dealing with the religious aspects. Both actors give their best performances in this film. I spoke with Robin by telephone on 22 August 2013, and would like to thank him for his time. NB. Robin sadly passed away on 2nd July 2016, at the age of 86. I wish to express my condolensces to his family and friends. Rest in peace, Robin. Interview by Paul Rowlands. Copyright © Paul Rowlands, 2013. All rights reserved.